Did you know that I’m on a Seafood Diet? I see food and I eat it! LOL! But seriously, have I got great news for you! I was given a 40% discount code to offer each of you to attend the Hess Select South Beach Seafood Festival taking place on Saturday, October 25th, from 1-9PM and the Chef Showdown @ Seafood & Sneakers Ball the night before (Fri Oct 24th). Here’s the dealio: Friday NightChef Showdown @ Seafood & Sneakers Ball ($150 Ticket) – $100 with discount code: Savorourcity. Saturday Festival VIP All Access ($150 Ticket) – $100 with discount code: Savorourcity. Visitwww.sobeseafoodfest.com, Select “Get Tickets”. Choose “Buy” for Chef Showdown October 24th or Seafood Festival October 25th. 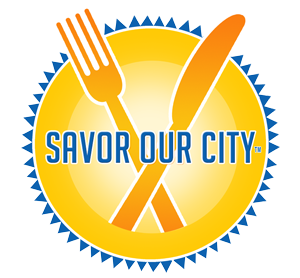 Enter promo code: Savorourcity. Redeem your tickets and come party with us! We look forward to Savoring SoBe Seafood Festival.